In a first for SBS and indeed Australian television, The Ghan: Australia’s Greatest Train Journey is the channel’s first foray into the ‘slow TV’ movement. An immersive, three-part special the three hour ad-free and uninterrupted special was first aired on Sunday January 7 at 7.30opm and is now available on SBS On Demand. 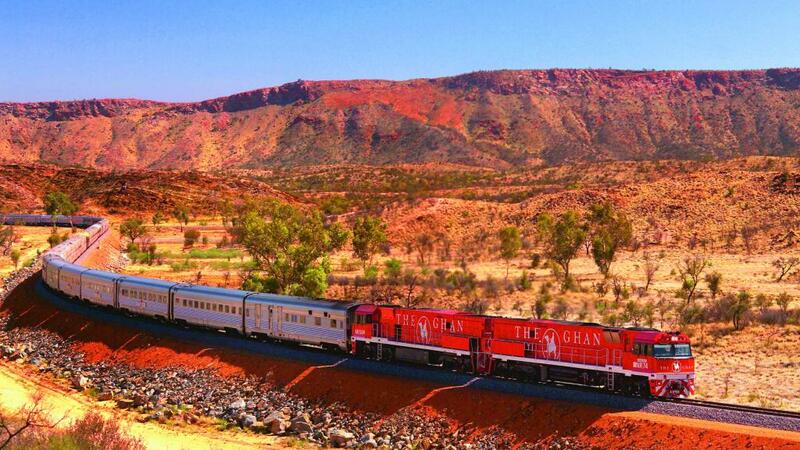 Taking viewers on the same incredible journey through the outback as the iconic Ghan train journey, the program reveals in real time the stunning topographical landscapes and palette changes of the central Australian outback as it travels from Adelaide to Darwin. Over three hours, with no breaks, viewers are taken on a mesmerising journey where there is nothing but the tracks beneath and the incredible landscapes all around. Along the way, the program breaks down Australia’s Indigenous, multicultural and social history in a surprising and compelling way. Putting the viewer in the passenger seat of the world’s longest passenger train, the ground-breaking new series journeys through the heart of the continent. While idea of filming an iconic train journey may sound simple, in truth the production was far more complex. Despite what viewers may think, it wasn’t as simple as mounting a camera to the front of the train and pressing record, as the brains behind the production reveal. Writer/producer Dan Whelan explains, “All up, I ended up going on The Ghan four times – three for research and once for the shoot.” The crew encountered many challengers, including trying to counter the vibrations from the train, moving their huge amounts of equipment through the over 1km long train and editing the hundreds of hours of footage down to just three hours for the TV documentary. With so much beauty to choose from, the production team decided to create an additional 17 hour documentary to complement the TV special. Still, it was all worth it in the end for Whelan who was excited to introduce this concept to Australian audiences. “‘Slow TV’ is a new genre of television that has been making noise in Europe – in particular, Scandinavia –and we were really excited to work with SBS to create Australia’s first program in this unusual space. The Ghan was always a natural front-runner. It’s an iconic journey, and traverses the diverse landscape of Australia, revealing the vast country and its myriad colours along the 2997 kilometres of track” he said.